How’s it going and rolling thus far, in the SAG season (since Nov 22), and with JUPITER now (since Nov 8, and for 12 more months) in SAG? Lots of us are still in SCO-to-SAG PHOENIX transition mode, burning off a lot of intensity that’s been bubbling up and become too obvious to ignore, with JUPITER in SCO (Oct 2017 – Nov 2018), in the recent SCO-to-SAG Season. Plus, MERCURY retro (Nov 16 – Dec 6) cruises back and forth 3x(!) 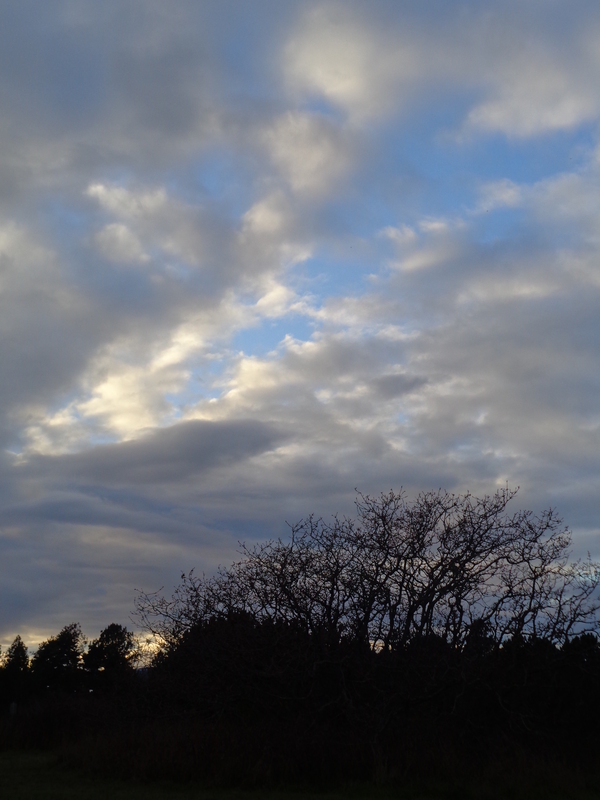 over the PHOENIX Point as well…(the days round Oct 30, Dec 1, Dec 12). As MERCURY just re-entered SCO (Dec 1 – 12), we’re called to go into the depth of our thoughts and feelings, and deeper / more intimately into communicative exchange with others – and re-trieve ‘treasures in the dark’ (maybe at places we’ve avoided). …turns our memories to people, places, language, and intimate connections that have been ‘under wraps’ or on the back burner – until we remember what it’s like and how it touches us to talk with them or think / talk about these things. Follow the prompting and synchronicities that guide you together! Rolling through a dark SCO wave or diving into a dark calm lake has us meet and touch on those places we usually avoid. As scary as they seem – they show us (sometimes through extremes) what makes us feel truly human and alive. Of the same Earth, going back to the same Earth. Deep knowing from an inner Scorpionic place brings us back to the Heart, and gives everything a whole different meaning and direction (SAG). Thus is the Transformation from heavy ‘lead’ to Heart Gold.. Sounds like this has to do with MERCURY’s ‘mission’ back through SCO (in its role as the Alchemist! ), before fully rising in SAG on 12/12. So let’s tune into the signs and messages, and how they can change us – if we let them in. After making a choice – hopefully in freedom and autonomy (VENUS in late LI opposing URANUS in ARIES yesterday Nov 30) it’s time to lovingly dive into the change that this choice brings (SCO). The dark-before-NEW MOON will be in dark SCO too (Mon – Wed Dec 3 – 5) – evoking deep emotional responses to what we’re going through, and facilitating transformation of what has been stuck or hidden, esp. in the fields of communication (MERCURY – what have you been hiding / not processed fully, etc?) and attractions / love / intimacy (VENUS). Can be quite magic-all if we let it – and follow our M-r / SCO intuition and instinct. Trust the Lunar Midwife for transformation! The Scorpionic ALCHEMY that’s on now via MERCURY, VENUS, and the MOON – leading us to a higher level of Sagittarian freedom. The Heart lantern shines on our path (as the Hermit’s in the SAG painting…). The Advent candle lights celebrate the trust in the daylight and Christ light returning, the trust in the birth of the Divine Son at Christmas / Re-birth of the Sun at Winter Solstice. Where do we ‘come from’, as we move in a certain direction / are on our Path? Are we in Body-Mind-Heart-Spirit alignment in our movement, not on a guilt trip (Centaur, carrying the goat skin on his shoulder as a reminder), aiming high, divinely ignited (Zeus’s thunderbolt igniting the SAG arrow)? The Scorpionic ‘Dark Moon’ incubation phase (with MERCURY, VENUS, and the MOON) can help us process and prepare, before the Journey with / in the SAG NEW MOON phase begins which also initiates JUPITER more fully into SAG. From the West Coast perspective, the New Moon will be on Dec 6 at 11:20 pm PST – from MST on eastward, it will be Dec 7 already. A BIG New MOON – birthing and blessing the Heart Truth and its Gifts (JUPITER in SAG). …while the SUN / MOON union squares the MARS / NEPTUNE union in PI (which in itself is a rare alignment – only comes every 2 years, exact on Dec 7). It’s literally a Go with the Flow vibe. CHIRON in late PI goes from retro to direct (Dec 8). This watery cocktail is on in the first half of December, and calls for relaxing, surrendering, being open, flexible, adaptable, unattached, ‘rolling with things’, listening to the music, diving into an energy that feeds us, and surfing what-IS – very therapeutic. …esp. in pre-Christmas times that can paradoxically get so hectic. The SAG NEW MOON ‘births’ CHIRON into forward motion (from Dec 8 on), after its yearly 5-months retro phase (since July 4). 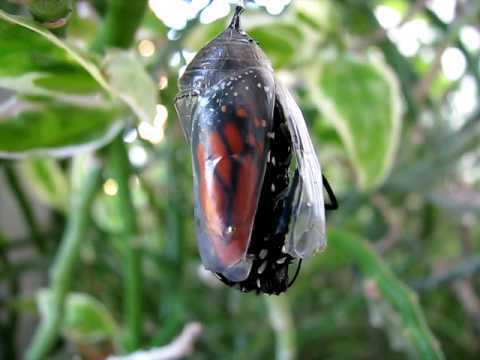 Out of Oneness / Connectedness emerges a new beginning in authentic presence. Its lower vibration is emergency and survival. …being either so immersed and overwhelmed that you lose yourself – and might have gotten wounded, to remind you of being more present and in natural me-first priority? …or feeling disconnected, and perhaps going into compensations like addictions that ‘connect’ you yet take you out of presence, and found you need to show up again authentically – which can lead to healthier connections? …or combinations / variations of the theme? As the Piscean tide of CHIRON is turning we can more easily ‘surf the waves of Life’, express the Medicine we’ve re-ceived outwardly, and show up authentically (as CHIRON will fully go into ARIES from Feb 18, 2019 on). 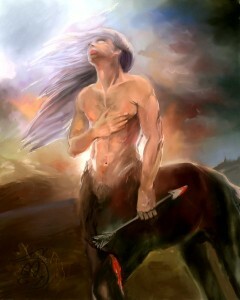 And YES, you got it: CHIRON is a Centaur like SAG. 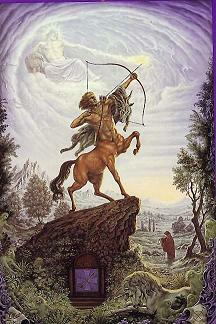 According to a version of the mythological CHIRON story, he transforms into SAG(!) as the culmination of his Hero’s / Healer’s / Teacher’s Journey. Connection (PI) Heals (CHIRON), and ultimate Teaching (CHIRON) shows: ALL is Connected (PI). How does immersing in the ‘knowing Field’ affect your Heart and your Journey (SAG)? Stationary CHIRON in late PI is also one of the points of contact in the Grand Water Trine, together with stationary MERCURY (going direct 10 hrs before the New Moon!) in late SCO / on the ‘Phoenix Point’, and the Lunar North Node in late CAN. Let’s allow caring gentleness-in-oneness (late CAN NN) touch the place where we may come through deep-dive realizations of the nature of Mind (as in: thoughts and emotions) (MERCURY retro / stat in late SCO), and meet the Medicine of connecting in what’s always here – a unified field (CHIRON in late PI). It allows things to release, heal, and bring us back into natural flow. The Lunar North Node in late CAN forms a square with VENUS (which was exact last week when ‘she’ was in late LI, and easing off as ‘she’ dives into SCO tomorrow Dec 2) and a square with URANUS retro in late AR (this one’s exact on Dec 2 / 3, and in effect Nov / Dec) – can you see the red T-square pointing to the North Node? The late CAN NN is quite a focal point as both the T-square and the Water Trine hinge on it. When we truly love ourselves, and come from the Consciousness of Love (supported by the ‘New VENUS’ post-retro) we don’t need to ‘rebel’ / run away / split / oppose ourselves to others, to be free. ‘Tipping’ into freedom AND depth – with gentleness and compassion – in awareness All is ONE (late CAN with PI undertone). May the Spirit of the Heart, Sagittarian Trust and Piscean Faith & Surrender bless our Journey with the SAG New Moon and beyond! * SATURN in mid SAG goes direct (Aug 13) * Committed to our Heart Intentions. SATURN makes its yearly retro-to-direct ‘U-turn’ this month, exact tomorrow, SaturNday Aug 13. Which means: August is a stationary SATURN Themes month. Have you noticed?!? SATURN energy is not ‘mean’, it actually represents a necessary reality check. It keeps us grounded to make sure the bases are covered, we are in our authority, and not buying into fear, or doing things for the wrong reasons. A maturing, sobering energy. The ring of commitment and self-responsibility is a magic key to be in good terms with SATURN (and to experience its positive effects). Less is more is also always a good mantra to go by, under the SATURN influence. So it would be good to unburden ourselves, on all levels, so that we ‘travel lighter’. …Given the ‘reality’ and socio-economic context. Spiritually, motivationally. The SAG / Zen Archer/ess has to pull the arrow back first (a good SATURN retro in SAG image), towards the chest & HEART, aim clearly, and release in relaxed one-pointedness. Similarly, in the now turning SATURN retro phase which has been on since end of March, we had to ‘pull back’ our initial intentions that we might have formed before SATURN went retro, to make sure we come from the right & LIGHT place, as we move forward with what we ‘put out there’, or as we take ourselves on an intentional journey. As SATURN goes direct on Aug 13 (which has been already activated through the MOON in SAG Aug 11 – 13, and will be catalyzed through the next Full Moon on Aug 18) we’ll have a much clearer sense of our Heart motivation, how and what we can really trust (a key theme in SAG), while moving forward and upward. Maybe we have received signs of ‘evidence’ that showed us what the path is inviting us to. What in you KNOWS? MARS has been for a long time ‘behind’ SATURN in the Zodiac (hope you had a chance to see the beautiful triangular alignment in the early night sky, of (‘right to left’) MARS, Antares (brightest star in SCORPIO) and SATURN, just ‘below’ the MOON these days. Soon after SATURN goes direct, MARS (also in SAG now!) will pass SATURN, on Aug 24. Another phase that gives way for gaining energy and momentum for moving past the inner and perceived outer ‘obstacles’, and to ‘go for it’, not from an ego place but from the Heart! More blessings for the Journey! 1st house: How you show up. 2nd house: What you have and value. 4th house: Your home and history. 6th house: Your work, health, lifestyle. 7th house: Your significant others. 8th house: Your deep involvement and ‘contracts’. 9th house: Your travels and worldviews. 10th house: Your calling and purpose. 12th house: Your oneness with ALL. 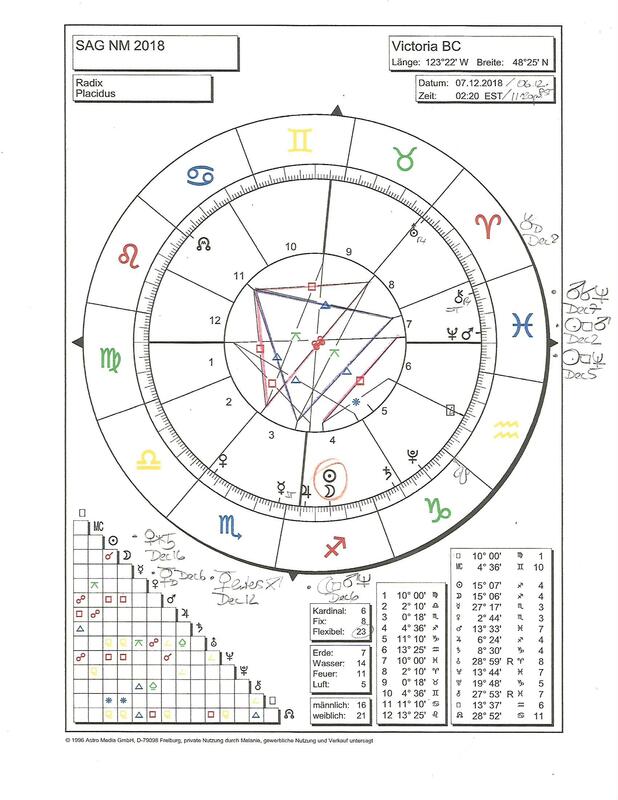 If you have planets, SUN / MOON/ AC in mid SAG, GEMINI, VIRGO, or PISCES these sides of you will be strongly affected by the SATURN station in August. In a private session, we can explore and focus on the exact alignments and a good way of clearing your path – which can be very timely, healing, releasing, and rewarding now, under SATURN in SAG, and NEPTUNE / CHIRON in PISCES.